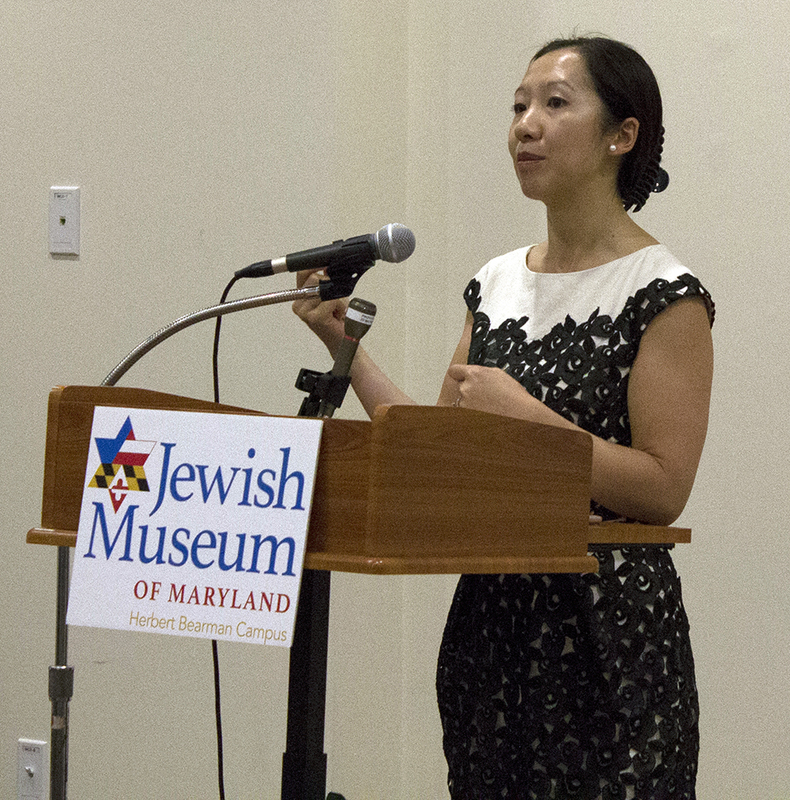 We were thrilled to welcome Dr. Leana Wen, Baltimore’s health commissioner on Sunday August 7th for Medicine’s Next Frontier: The Power of Public Health. 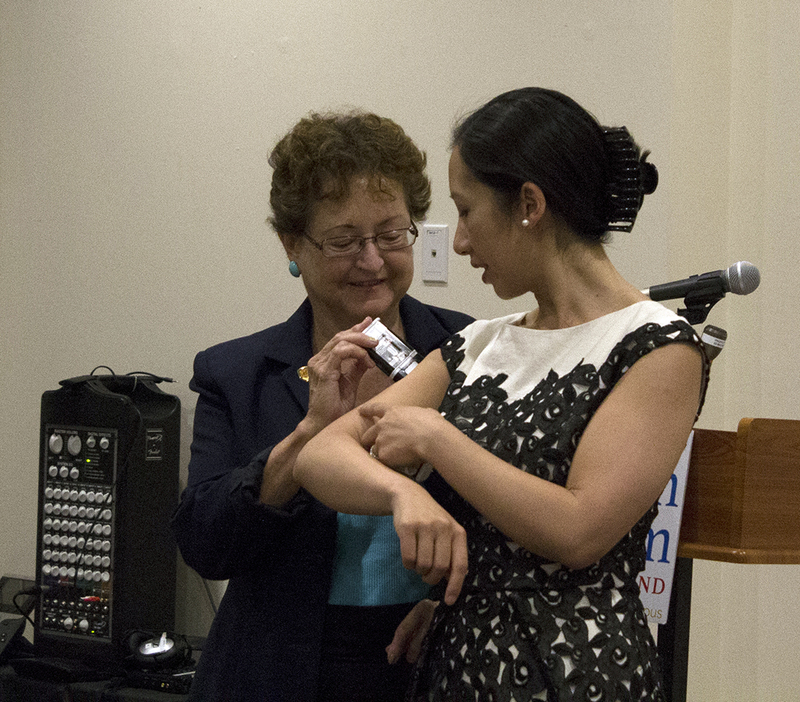 Dr. Wen’s strong, fact-based presentation was enlightening for the whole audience, medical practitioners and lay leaders alike. The proof of her effectiveness was the large number of questions she received from our visitors – they were totally engaged. 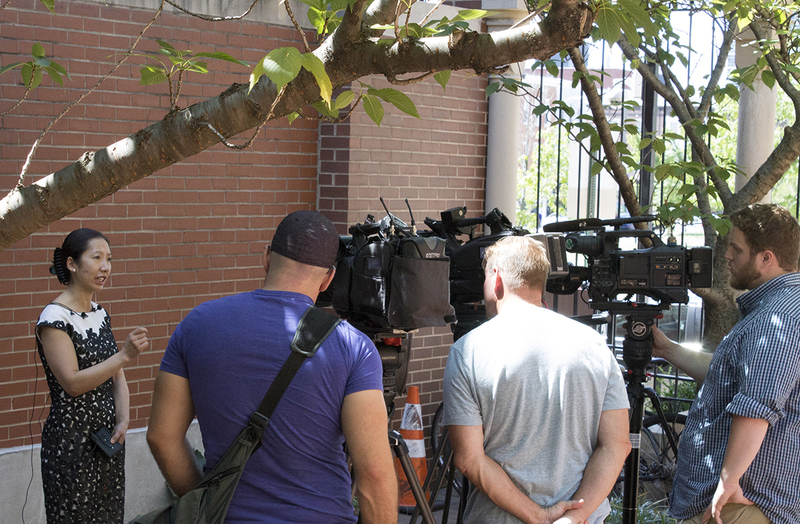 Our courtyard also played host to a last minute press conference on the Zika virus after the program! If audience members, or any of our constituents, are looking to help assist with contacting elected officials or the media about the funding issues we are currently facing with Governor Hogan’s office, more information can be found in a recently released article in The Daily Record. Please get in touch with Kathleen Goodwin (Kathleen.goodwin@baltimorecity.gov) to help answer any questions! We know that the voices of Baltimore’s citizens are often the strongest when it comes to advocating for the continuity of life-saving programs in our city. Demonstrating a life-saving technique for treating overdoses. As the local health authority, the Baltimore City Health Department (BCHD)’s mission is to serve Baltimore by promoting health and advocating for every individual’s well-being, in order to achieve health equity for all residents. We work every day to improve the health of our community and address the disparities we face.